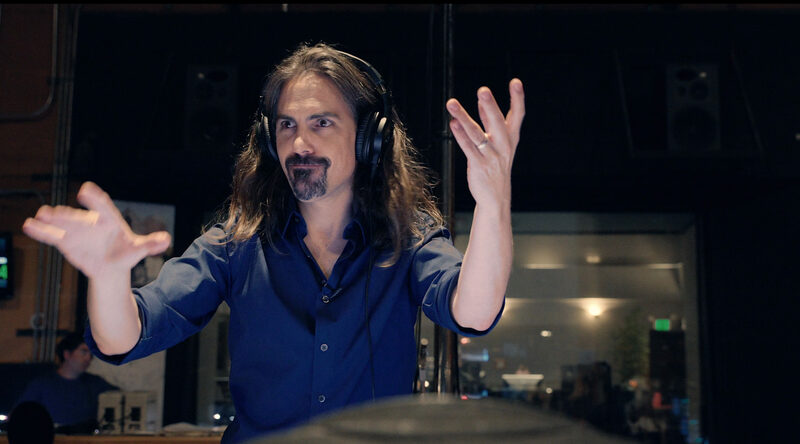 McCreary was recently announced as the composer for the highly-anticipated Godzilla: King of the Monsters, Warner Bros. and Legendary’s follow-up to the 2014 hit film. This will not be McCreary’s first monster film, as he has collaborated closely with producer J.J. Abrams on the Cloverfield film series, scoring the Paramount Pictures and Bad Robot films 10 Cloverfield Lane and The Cloverfield Paradox. Time Magazine raved that 10 Cloverfield Lane‘s “finest feature may be Bear McCreary’s playfully malicious score, a beehive of worried-sounding strings that channels the spirit of Hitchcock fave Bernard Herrmann.” USA Today praised the “fantastic wordless opening set to Bear McCreary’s roiling, glorious score.” McCreary’s incorporation of Blaster Beam, yialli tanbur and other exotic instruments into the gripping thriller drew upon his experience from his first job: scoring the influential and revered Battlestar Galactica. His music for that series was lauded by Variety as “innovative,” “like no other” by NPR, and earned him a coveted spot on Io9.com’s “Ten Best Science Fiction Composers of All Time.” From there, he quickly became one of the medium’s most sought-after talents. He currently scores AMC’s record-shattering global phenomenon The Walking Dead, as well as Joss Whedon and ABC’s hit series Marvel’s Agents of S.H.I.E.L.D..
McCreary’s wide-ranging recent film credits include the upcoming historical drama The Professor and the Madman, a historical drama starring Mel Gibson, Sean Penn and Natalie Dormer, the Universal / Blumhouse hit Happy Death Day, a small horror-comedy that made over $100 million dollars at the box office. He also scored the sleeper hit Anne Hathaway sci-fi-drama Colossal, the up-coming animated feature Animal Crackers, Danny Strong’s J.D. Salinger biopic Rebel in the Rye, the critically-acclaimed documentary Unrest, and Disney’s Step Up 3D. His video game credits include Sony Playstation’s record-shattering 2018 hit God of War, Ubisoft’s Assassin’s Creed Syndicate: Jack the Ripper, “Ryze: Call of Power” for League of Legends, and the groundbreaking television / video game hybrid Defiance.